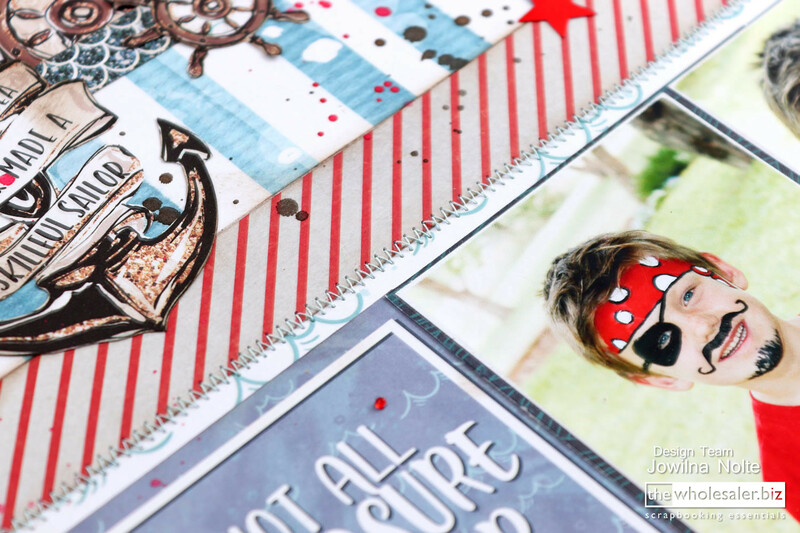 Nothing says boy quite like a good pirate themed paper range. I love this cute Lady Pattern Paper Ahoy Boy range. And naturally wanted to create a layout celebrating the little pirate in our family. 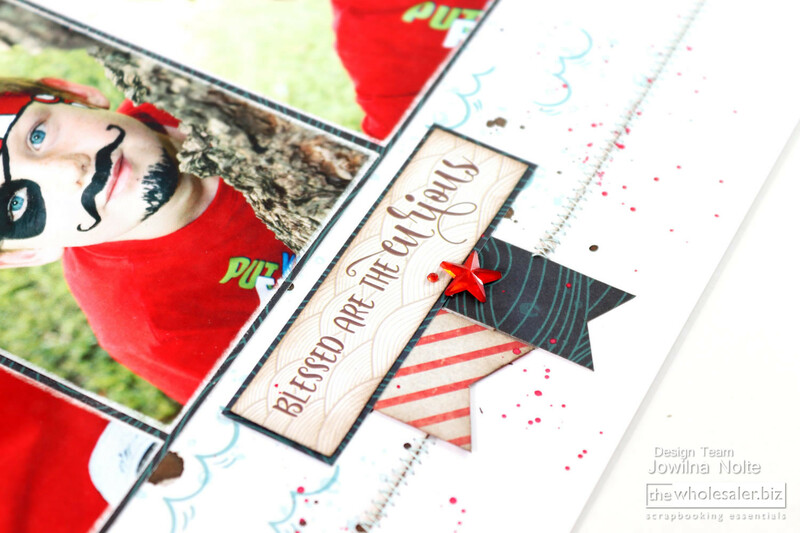 To pick up the red in my photos I combined the range with a fun red and white striped patterned paper. It gives just the right amount of colour to this layout. Don’t forget to browse the rest of the Lady Pattern Paper range to find that perfect red paper design and pattern for your layout. Cut out elements from the card sheet make for the perfect supporting embellishments. I love how the cards tie in perfectly with the paper, and the quote are simply a must on any projects especially layouts. The merman was cut in half and his tail discarded. His body makes a perfect element peeking from behind my photos. And don’t forget to use the tail elsewhere or on another project. 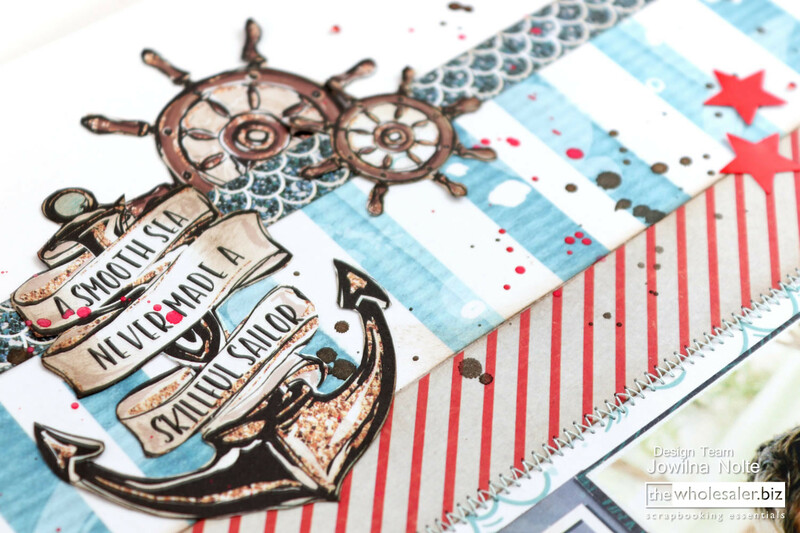 Create your own additional elements by cutting flags and combining them with some of the sentiment strips. I matted my photos and my sentiment onto some of the patterned paper instead of using cardstock. A nice alternative to when you just can’t find that perfect colour of cardstock or have any in your stash – you can always make a plan. 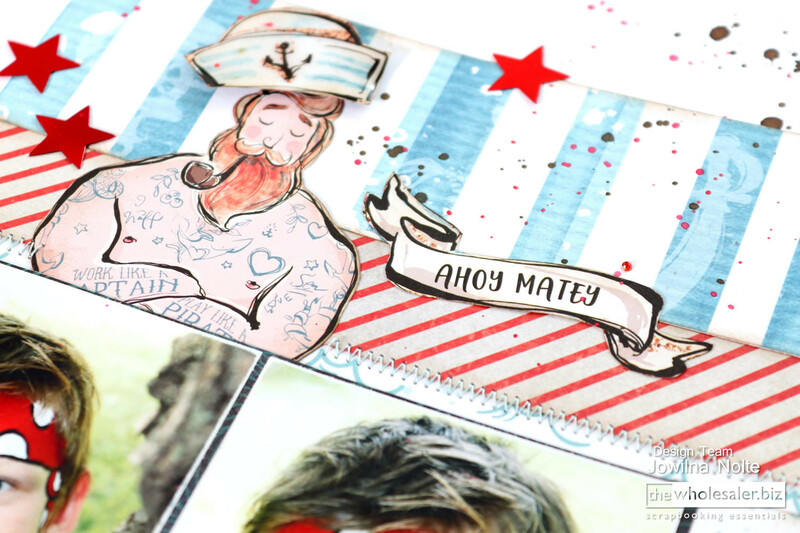 It’s easy to create a beautiful project using the Lady Pattern Paper Ahoy Boy range of papers.